An eagle's eye is almost as large as a human's, but its sharpness is at least four times that of a person with perfect vision. 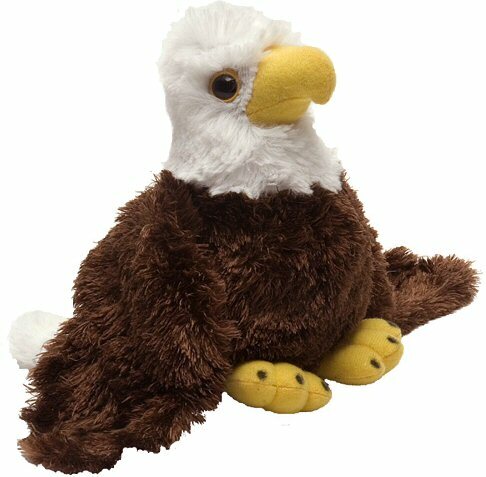 In addition, a portion of the proceeds from the sale of this cuddly bald eagle helps support foundations which provide housing and education for disadvantaged children, as well as protection for abandoned animals throughout the world. Fun facts about Bald Eagles: Did you know that bald eagles don't get their distinguished white heads until they are about 5 years old? According to National Geographic, they are basically dark until then.